Public water providers understand the need to protect their water supply sources. Throughout Washington State, many supply wells are constructed in shallow aquifers that are highly susceptible to activities at ground surface—particularly those associated with industrial or agricultural land uses. 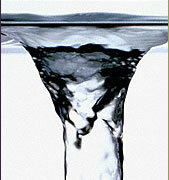 It is not uncommon for water in shallow aquifers to become contaminated with solvents, hydrocarbons, or fertilizers. Our wellhead protection strategy typically entails three major tasks. First, we delineate “capture zones” for each supply well in the system. These capture zones include all areas within an aquifer that provide water to the well under pumping conditions. Then we inventory all sources of contamination (actual and potential) that fall within these capture zones. Finally, we design a monitoring program that will provide an early warning of contamination problems that might affect the supply wells. The monitoring system comprises new and existing wells that are located near the supply wells. Samples are collected from these wells regularly to assess changes in water quality. Pacific Groundwater Group has nearly 20 years of experience completing wellhead protection studies throughout Washington. We encourage you to browse a few case studies to learn how we have helped protect water supplies for our clients.